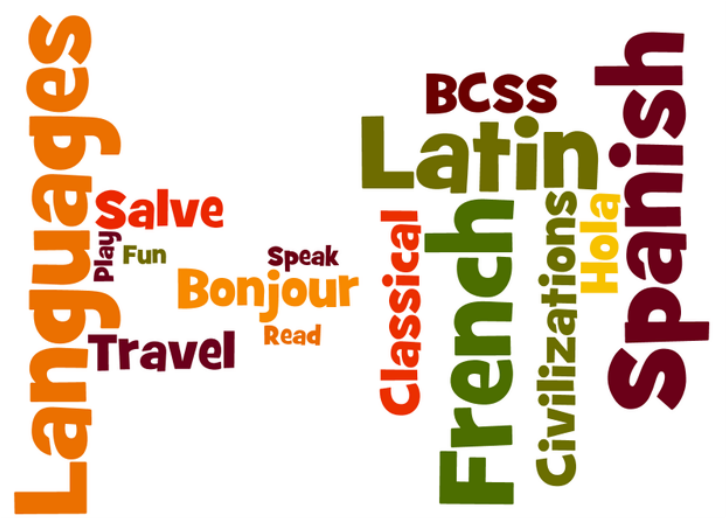 Bear Creek offers Core French courses for students of all abilities. Please feel free to speak to a French teacher to find out which course is right for you! *Extended French is coming in 2017! *NEW: Extended French is scheduled to begin in September 2017! for the place of French and other languages and cultures in Canada. use supplied reading and writing as support. did not fulfill all requirements in their elementary school French program. This course emphasizes the concurrent development of oral communication, reading, and writing skills using a broad-based theme such as the media. Students will enhance their ability to understand and speak French through conversations, discussions, and presentations. They will also read short stories, articles, poems, and songs and write brief descriptions, letters, dialogues, and design a web page. theme such as adolescence. Students will expand their knowledge of French by studying a series of theme-related topics such as students’ rights and responsibilities, relationships with peers and adults, and part-time jobs. apply critical thinking skills in discussion in their analysis and interpretation of texts, and in their own writing. will give presentations, read a selection of short stories and articles about Francophone cultures, and produce a variety of written assignments. The use of correct grammar and appropriate language conventions in both spoken and written French will be emphasized throughout the course. play. Students will produce various written assignments, including a formal essay. The use of correct grammar and appropriate language conventions in both spoken and written French will be emphasized throughout the course. that students can use in the business world or the workplace. Students will give presentations, read a selection of materials appropriate to the topics under study, and produce a variety of written assignments. The use of correct grammar and appropriate language conventions in both spoken and written French will be emphasized throughout the course. their oral skills as they discuss literature, culture and current issues. They will read a variety of texts and will write a formal essay. The use of correct grammar and appropriate language conventions in both spoken and written French will be emphasized throughout the course.